Factual error: In the scenes of Ian Fleming in the Naval Intelligence HQ, there is a map of Scandinavia on the wall. The map already has the post-war borders of Finland on it. Factual error: During the assault on the radar station, the commandos seize a German machine gun and employ it effectively. 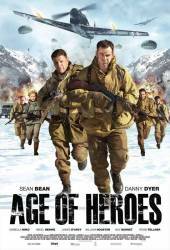 The movie takes place in 1940, yet the machine gun is an MG42, which was not issued until 1942.